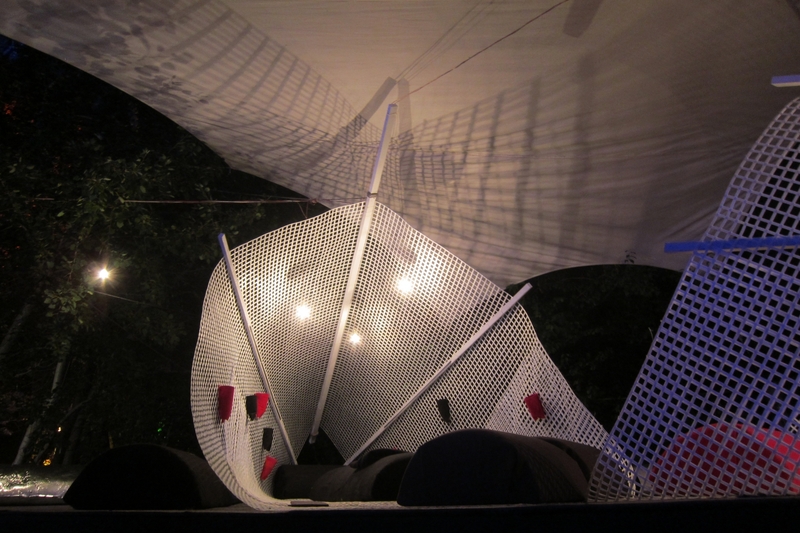 Re-Make/Re-Model worked together with Fusion Festival to create an installation for the 2012 Festival. 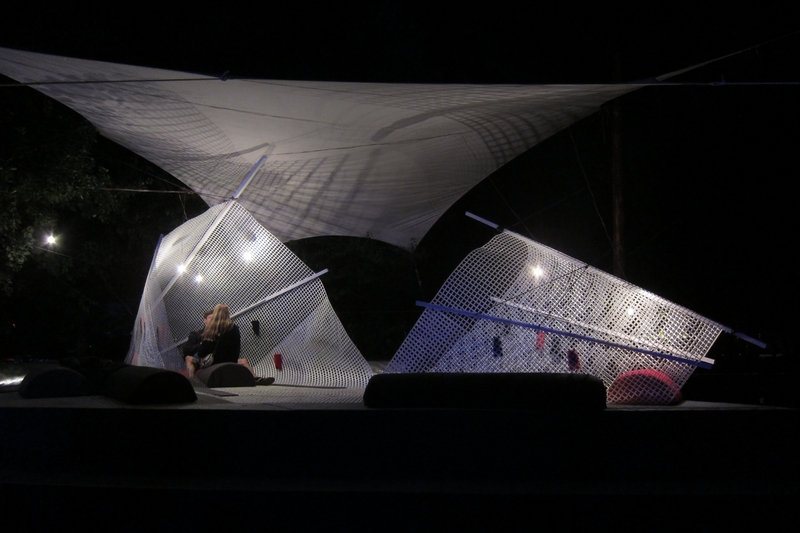 Fusion festival is a playful landscape of spatial experiments spread across an abandoned military air base. 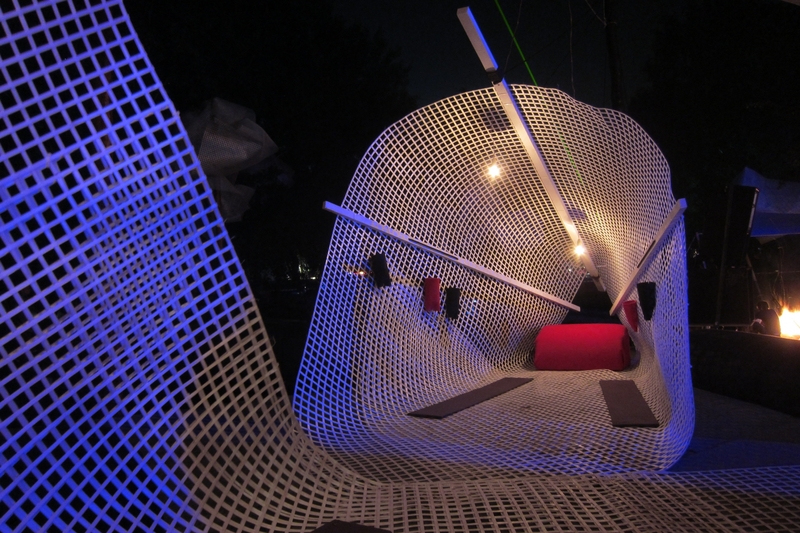 The Confusion installation consisted of two cocoons created from a hard plastic mesh, a kind of material usually used in road construction. These two structures were suspended from the surrounding trees. 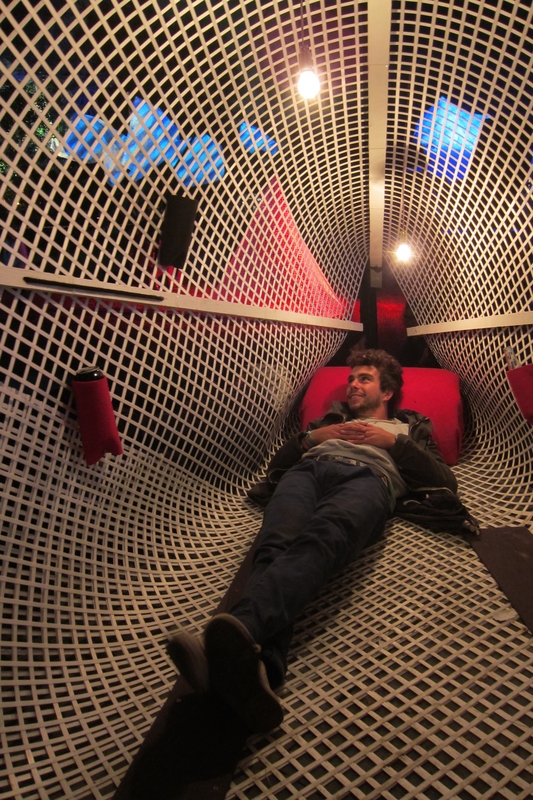 Each cocoon could house up to ten people leaning against its walls from the inside. When someone moved, the balance of the cocoon was set off and people had to find a new equilibrium. This collaborative aspect was an effective way of encouraging people to talk to their neighbours and create a friendly atmosphere. 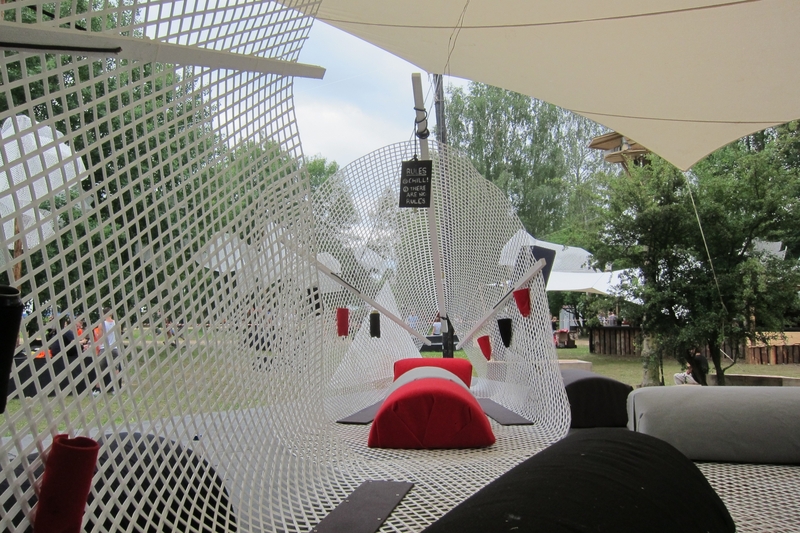 Inside the cocoons, the guests were shielded from the festival life while still being right in the middle of the action. When the wind was blowing, the cocoons were swaying back and forth in the wind with the trees from which they were suspended.